Three quarters of the vongolés shells were empty! The waitress said "They must be at the bottom of the bowl?" Ummmm... no, they weren't. The flavor was good but it was bizarre. Great food and excellent service! Thank you! 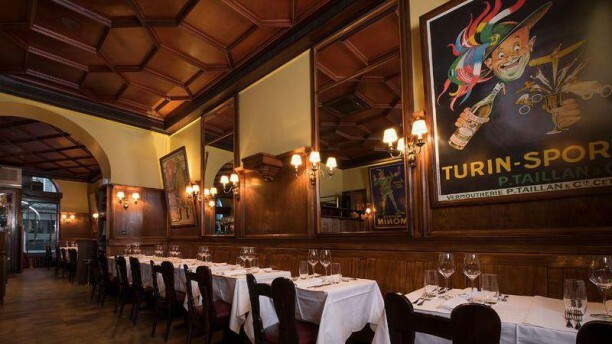 Unusual settings for an Italian restaurant - interior of a French brasserie with Italy-inspired posters, does not make the place feel Italian. Decent food, noting special, overpriced, clean, correct service. Not very crowded, probably for the same reasons. We were there for a lunch and we liked very much the food. The atmosphere was good too. Strongly recommended for a lunch or dinner with friends or family. Classic Italian , elegant and great care in dish preparation. Quality ! The quality of the service and food was not at all in line with Philippe Chevrier’s standar. I informed the staff that I was pregnant while I returned the starter, as the shrimps were raw. The main course arrived and the fish was not only raw but oily (also I had precises to the staff that I did not wanted my food with too much oil). The staff should be more trained and the Chef should be more attentive to clients when having speacial requests as in this case being pregnant and having food not properly cooked could be of risk. Overall I will defenetly not recomend the restaurant. Good food for a reasonable price and well presented. It is a pitty that the restaurant was empty in a Monday evening. Surely better ambience on other evenings of the week. First time at Marjolaine after being recommended to try it. Not disappointed. Super menu du jour, excellent service! Excellent qualité Food. Very good service. Generous quantity. Could be a bit less expensive to be perfect.